Now that weather in Minnesota actually resembles July and not March or November, I think I’m finally in the proper mood to ask that overasked question: What to read on one’s summer vacation? The English novelist Andrew Miller — author of the well-received Pure, set in pre-revolutionary Paris — recently shared his list of top ten historical novels, none of which I have, well, read. But they sound great! Okay, I’ll be honest: I’m not exactly a voracious reader of fiction, even of the historical variety. But let me take a shot at recommending the two authors of such fare that I most appreciate. I’m both a parent of twin toddlers and innately cheap, so I’ll postpone judgment on Spies of the Balkans, as it was only recently released in paperback. But I have a pretty good sense what to expect—for better or worse. For worse first… As with most novelists who write in series, there’s a sameness to Furst that can either bore or comfort. His novels are all set in the same era (1930s-1945) and same places (Paris; Central and Eastern Europe), and feature the same kinds of protagonists (lonely, cynical men who are either spies, anti-Nazi resistors, or working with one or the other). But you could find worst ruts to be stuck in, and because these novels all inhabit the same literary universe, it’s fun to spot the cameos from recurring characters or the callbacks to previous stories (e.g., the inevitable explanation of why there are bullet holes in the wall of a certain Paris nightclub). For better… True, there are three or four plotting devices that are guaranteed to show up again and again. (What, our hero has hooked up with an alluring woman of exotic, mysterious origins? I sure hope it works outs this time!) Yet Furst is such a consistently interesting writer that the terrain never seems overtilled. (Note to self: write terrible post using the history of crop rotation to give advice to writers.) Whether we’re following a Dutch freighter captain, a Soviet journalist, a French movie producer, or a Polish military attaché (that old one), Furst is adept at plunging American readers, accustomed to the anodyne Good War narrative in which self-sacrifice always serves a noble cause, into more shadowy European memory of WWII and its origins. Legs and arms moved like ratchets, as though operated by machinery. All in time to Khosov the Postman, who kept the beat with a homemade drumstick on a block of wood. They badly wanted a drum, but there was no drum to be had unless one went all the way to Sofia. No matter. The desired effect was achieved. A great modern age was now marching into the ancient river town of Vidin…. Colonel Veiko and his troopers thought [their] caps were magnificent, a little flamboyant, a daring touch to offset the somber tone of the uniforms, and wore them with pride. The local wise men, however, laughed behind their hands. It was entirely ridiculous, really it was. Vidin’s petite-bourgeoisie tricked out in goose feathers, strutting up and down the streets of the town. The grocer preceded by his monstrous belly. The postman beating time on a wooden block. Laughable…. “Levitzky’s geese,” Nikko answered, a title conferred by the local wise men. I enjoyed the Russell Crowe-Paul Bettany movie on its own (it might make my top 20 list of best filmed historical fiction), but I thank my Uncle Bob the astrophysicist for recommending that I go to the source material and read at least one of the twenty (completed) Patrick O’Brian novels that inspired Master and Commander. I’ve plowed through the first two tales of English naval captain Jack Aubrey and his surgeon-spy friend Stephen Maturin. And frankly, that’s probably where I’ll stop. 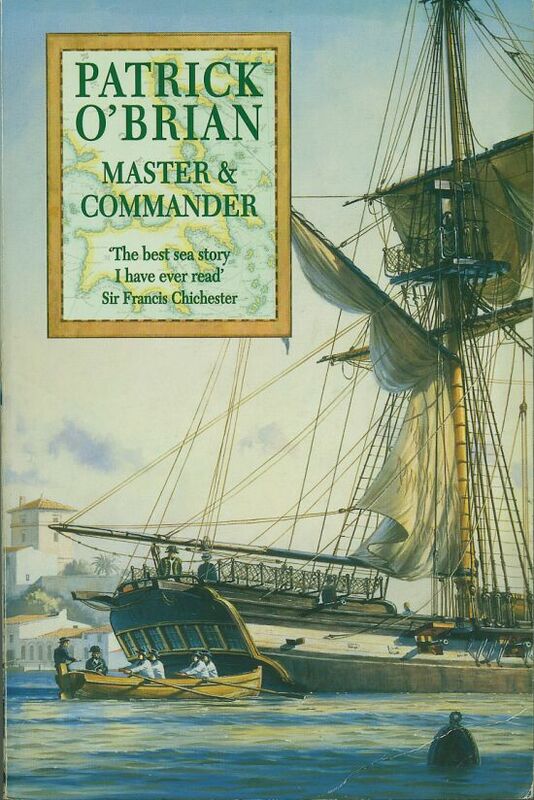 The very skill that makes O’Brian such a distinctive master (and commander) of the historical novel is what can make it rather tiring to read his work: his command of period language. As a historian, I find O’Brian’s attention to the subtleties of the never-stagnant, endlessly varied English language fairly compelling (not to mention the subtleties of class and ethnicity in post-1789 Europe). As a convinced landlubber, I found the nautical jargon to grow less and less interesting at a logarithmic rate. If you can get through this paragraph, you can (a) now use the words “puddening” and “abaft” in conversation and (b) enjoy at least one of O’Brian’s books. I’ll admit that I’ve got a sentimental, albeit indirect, attachment to such fiction. Not only does it remind me of my much younger self, who paged through his USN veteran grandfather’s books on Admiral Nelson, but one of O’Brian’s literary forebears provided the preferred reading of Dr. John H. Watson, sidekick of my beloved Sherlock Holmes, and another inspired the original pitch for my beloved Star Trek, as well as the director of the two best Star Trek films. What’s your favorite historical novel, or series of novels? I’m a great fan of Patrick O’Brian, though I find the nautical jargon a bit difficult for me (I describe myself as a Stephen Maturin type. 20 books in, and can’t tell a sheet from a sail). I’ve read the entire series once, and the first nine or so an additional two or three times. For me, the appeal of O’Brian is in the characters, and how vibrantly he brings that world to life. 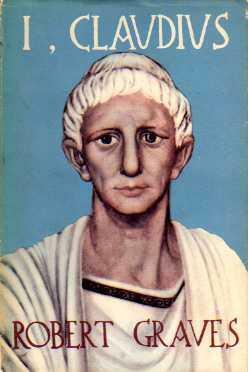 I also quite like Bruce Alexander’s Sir John Fielding mysteries. OK, (1) this isn’t really a beach read since it’s 1176 pages long and too heavy to hold up on the hammock, but …And Ladies of the Club, by Helen Santmyer is my all time favorite. I’ve read it twice and know I will at least once again. It is the life-long work of an elderly resident of a nursing home who had a brief flash of fame before dying a few years later. (She also wrote Xenia, a boring look at the town she grew up in that I’ve given up trying to finish.) Anyway, Ladies is set in Ohio and follows the lives of two women from the just-ended Civil War to the dawn of the New Deal. Besides being historically interesting, it was the first time I really felt the “continuity of life.” We can talk about that some time to explain better. (2) Another heavy one, Oldest Living Confederate Widow Tells All is 717 pages, written by Allan Gurganus. It is the life story of a woman who marries an old Confederate soldier when she was very young, so, of course, outlives him by decades. Anyhow, it is an interesting look at the aftermath of the war in the South from a small-town-local-details kind of a way. Not one to read repeatedly, though. (3) The last, is a trilogy by Francine Rivers: Mark of the Lion (series). It is the life of a Jewish girl taken captive, sold to the Romans and eventually set free. What is gripping about it is the description of a siege of Jerusalem that describes what life is like in such conditions. Could hardly sleep after reading it. It was one of the first times I considered what the Bible DOESN’T say. Eventually she becomes a believer of outstanding faith as life takes her through a lot of history. A real page-turner that I know I’ll read again. So, there is my list of fiction, all historical (my favorite kind). Oh, forgot, the Rutherford Sarum should be on the list too, come to think of it. I loved the O’Brian novels, and I’ve read ’em twice. But, the nautical jargon can be tough. Two options: a) get the glossary that they’ve published, or b) just skip past the jargon. Think of it like the techno-babble in Star Trek. I seem to remember reading a quote from one of the Star Trek script writers where he said that they wouldn’t even write out the techno-babble, they’d just put a placeholder phrase in and someone would later add the dialog.